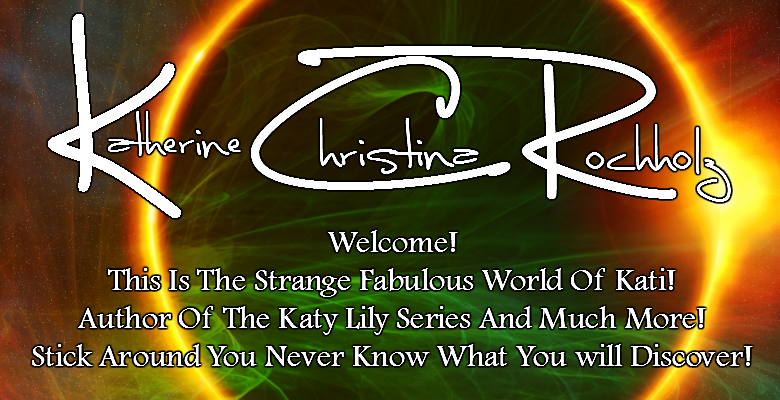 The Strange Fabulous World Of Kati: Contest Time!!! GUESS WHAT?? IT IS CONTEST TIME!!!!! I am going to have a contest to win a signed copy of my book!!! That is right a copy of one of my books all nice and signed!!! How do you enter? Well I am glad you asked! All you have to do is like my pages! Yep, go like my pages www.facebook.com/KatyLilySeries or https://www.facebook.com/pages/EAR-Publishing/305313649500247 or follow me on twitter www.twitter.com/sweetkcr or twitter.com/EARPublishing (Each of these actions will get you one entry) or you can comment on my blogs www.katherinerochholz.blogspot.com www.kariaguardian.blogspot.com www.katylily.blogspot.com www.katylilybookofshadows.blogspot.com (You get one entry for every three comments and spamming on coping and pasting comments will not be allowed if you only post one of two times that is fine you will still get one entry, if you want more though you have to post 6 for 2 entries 9 for 3... etc...) or follow me on Tumblr http://thestrangefabulousworldofkati.tumblr.com/ (1 entry for this action) (family is not able to win this prize sorry!) This contest will run into to mid June and in mid June when I launch book 2 of Katy Lily and my collection of poems and short stories LOVE HATE AND THE WORLD GOES ROUND! You can choose between those 3 books! TELL EVERYBODY Anybody (but family, again sorry) is eligible to win!!!! I will pay to ship it to you as well!!! !